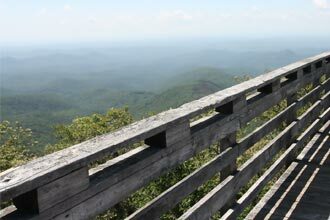 Take on the short version of Pinnacle Knob and hike to one of the best views in Georgia. 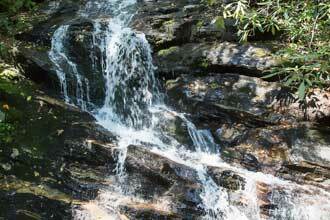 Hike a short section of the Bartram Trail as you make your way up to 180° views from the summit. 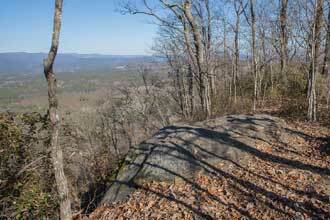 If you want something longer, try Pinnacle Knob via Warwoman Dell. Parking is a little tricky as there are only 4-6 spots available across two parking areas. The first is at the power line clearing, the second shortly after is more difficult for low ground clearance cars to access. 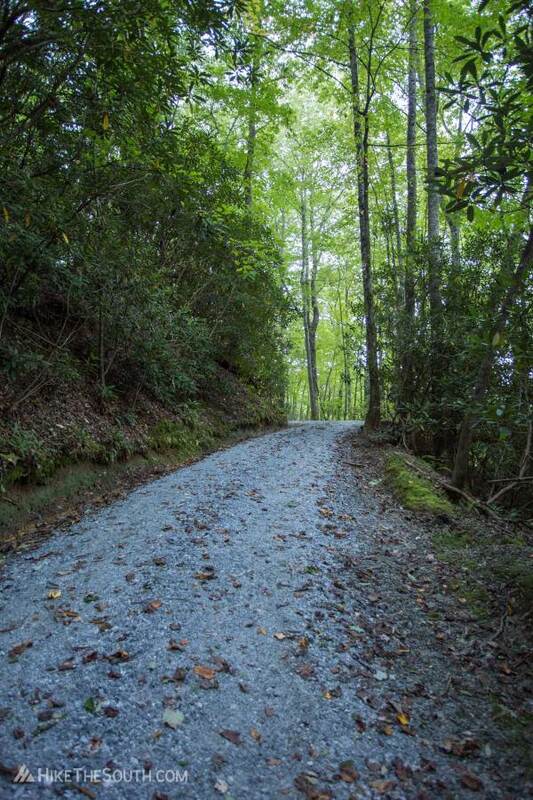 Head up Courthouse Gap road about 250 feet past the second parking area. 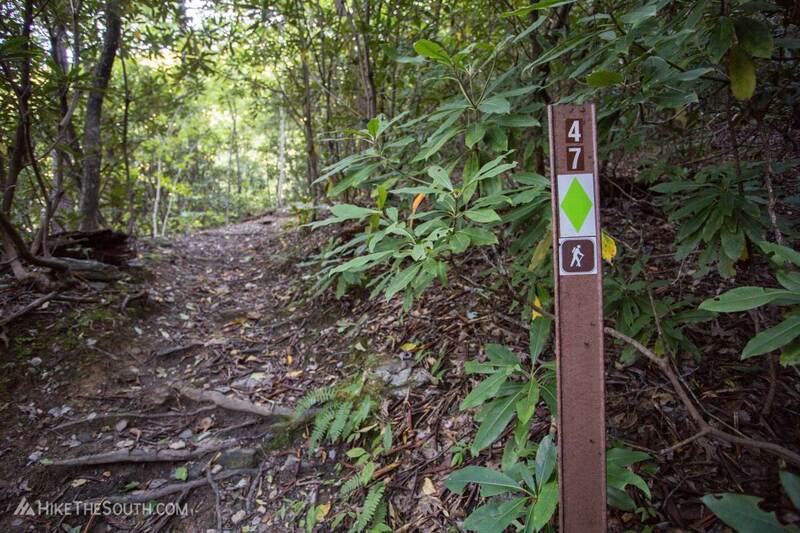 Turn left onto the Courthouse Gap Trail (#47) at the green blazed post. 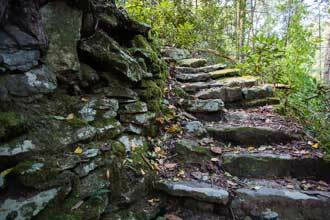 The trail heads up quickly, ascending several short steep switchbacks before settling in around a 500 feet per mile incline. 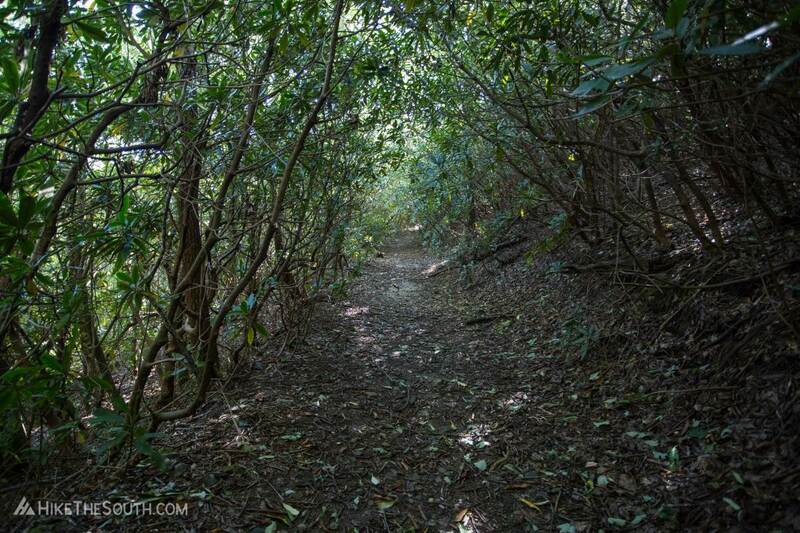 Walk through dense rhododendron tunnels as you make your way to Courthouse Gap at .5 miles in. 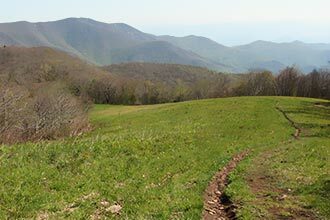 Turn right on the yellow-blazed Bartram Trail, continuing uphill until you get to the intersection with the green-blazed Pinnacle Knob Trail (#58) at .8 miles. 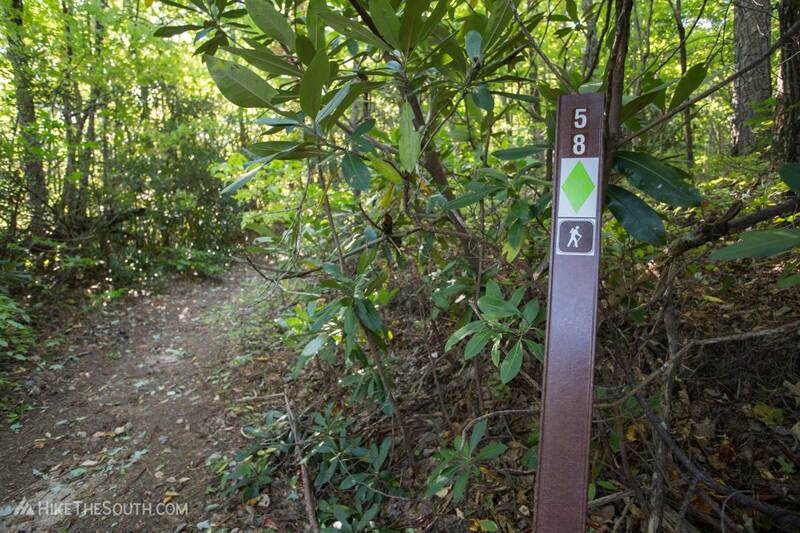 Turn right to follow the Pinnacle Knob Trail to the summit. Near the summit you may have to wade through waist high growth, but it doesn't last long. 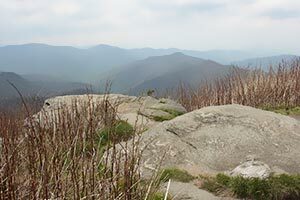 At 1.7 miles, hike out onto the rocky opening for 180° views to the northwest. 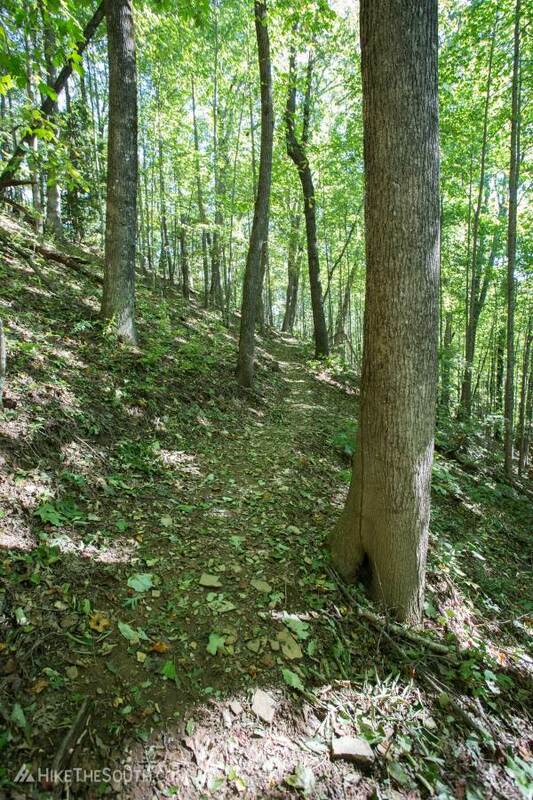 A short trail behind the view heads up a few feet to the actual summit and campsite. 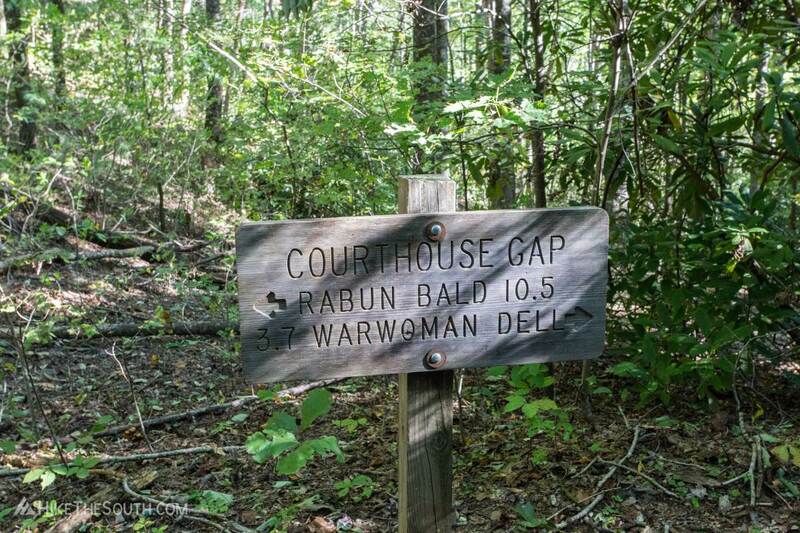 There are two parking areas along Courthouse Gap road. The first is at the power line clearing. 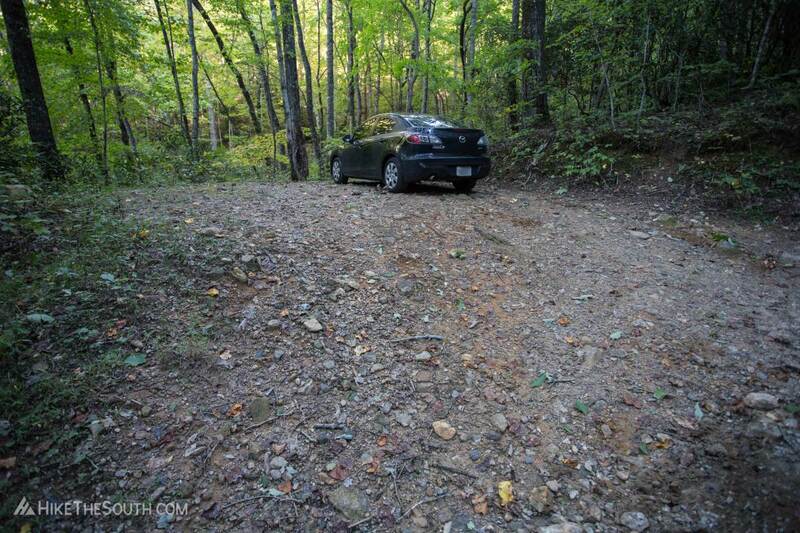 The second is just past it but is more difficult for low ground clearance cars to park at. 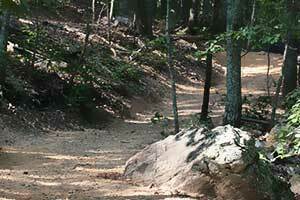 To begin the trail, hike up the road for 250 feet past the second parking area. 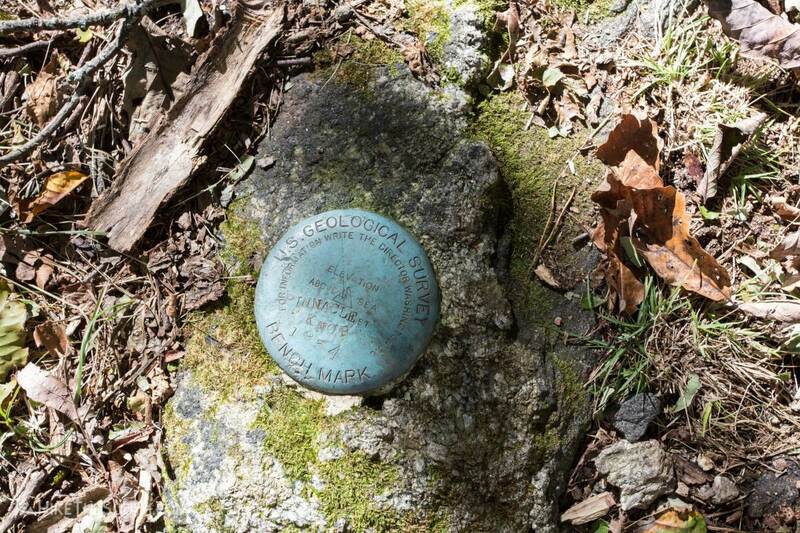 The trail begin at the signed post on the left. 4-6 spots across two small parking areas. 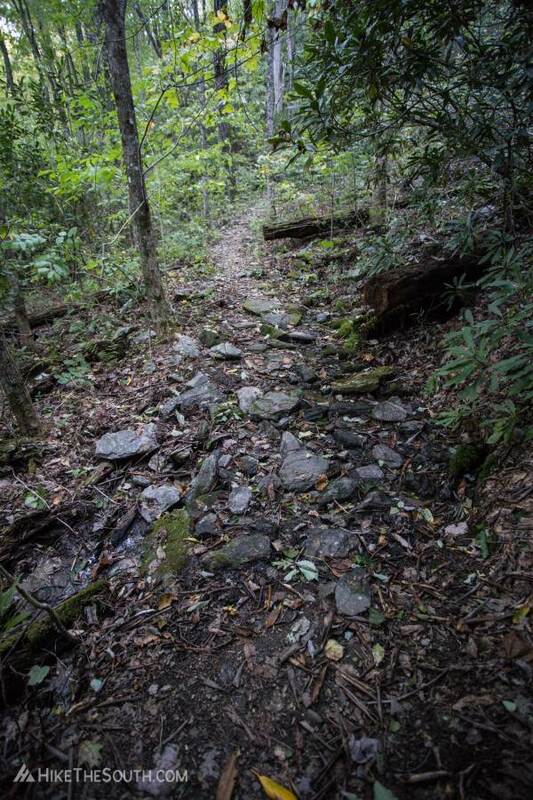 The trail is quite rocky, with plenty of loose rocks. 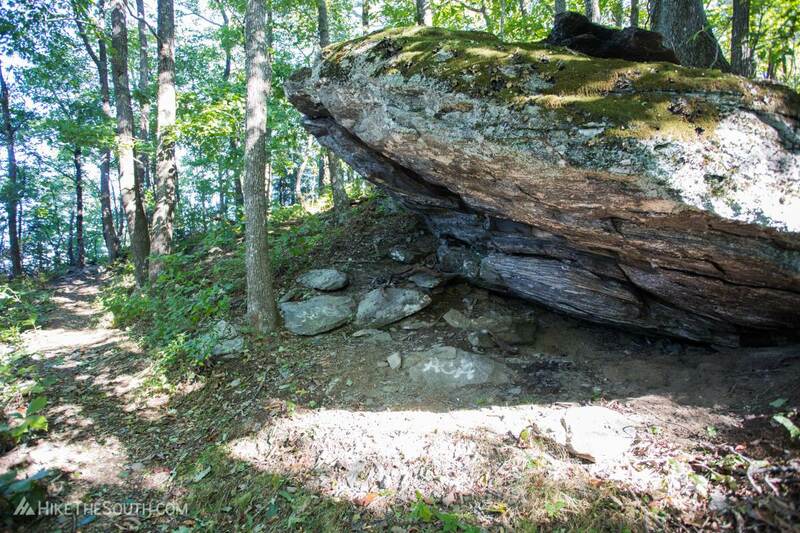 There was also some storm damage when I was there, but it was nothing you can't get around. 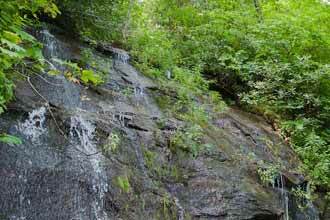 The better hike to Pinnacle Knob is definitely from Warwoman Dell Recreation Area. 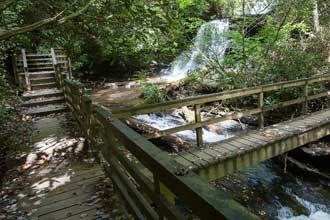 You get two waterfalls along the 8.6 mile round trip. 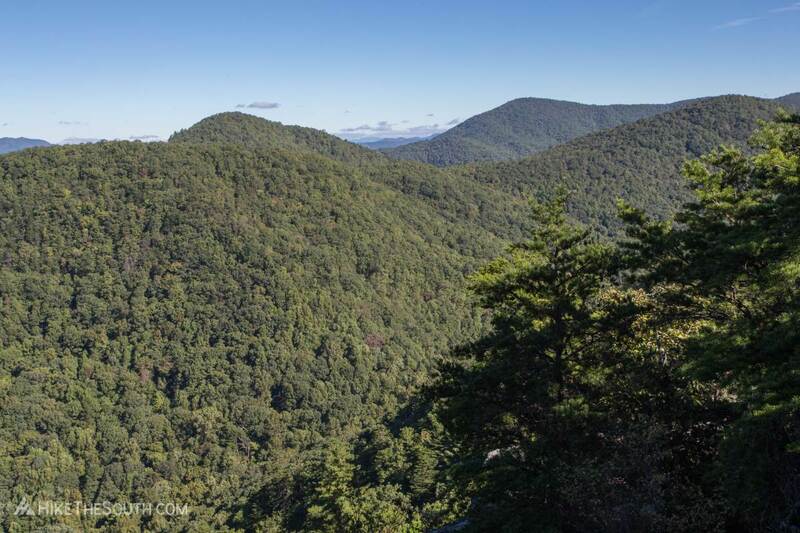 But if you're not up for a longer hike, then hiking from Courthouse Gap is the next best thing. 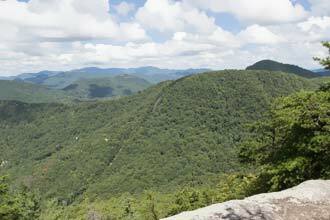 At 3.4 miles, this hike is less than half the distance, and the views are the same either way. 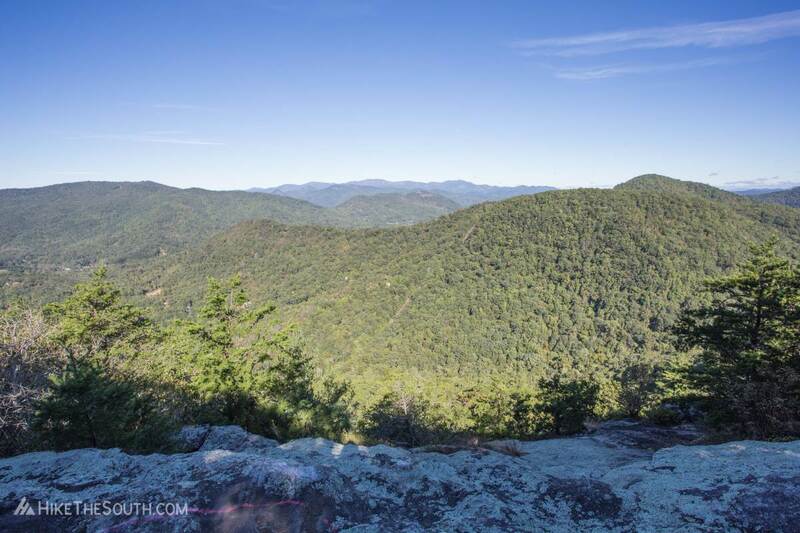 Excellent shorter hike with just the right amount of difficulty to make you feel like you earned it.